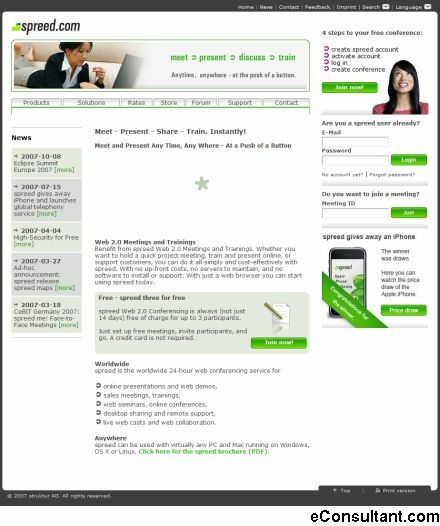 Description : Spreed is a web meetings and on-demand meeting rooms. With no up-front costs, no servers to maintain, and no software to install or support. With just a web browser and no need for a telephone, you can start using spreed today. Whether you need to hold a quick project meeting, meet with thousands participants simultaneously, train online, or support remote customers, you can do it all-simply and cost-effectively.